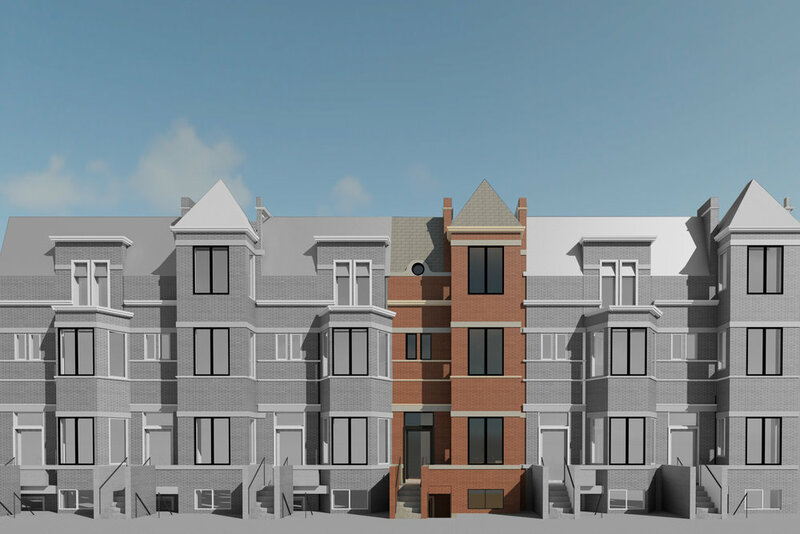 This is a 5 unit condominium conversion project on Park Road. The front of the building retains its existing facade merging in with the block, except for a small oculus window which pops out from the roof hinting an intervension. 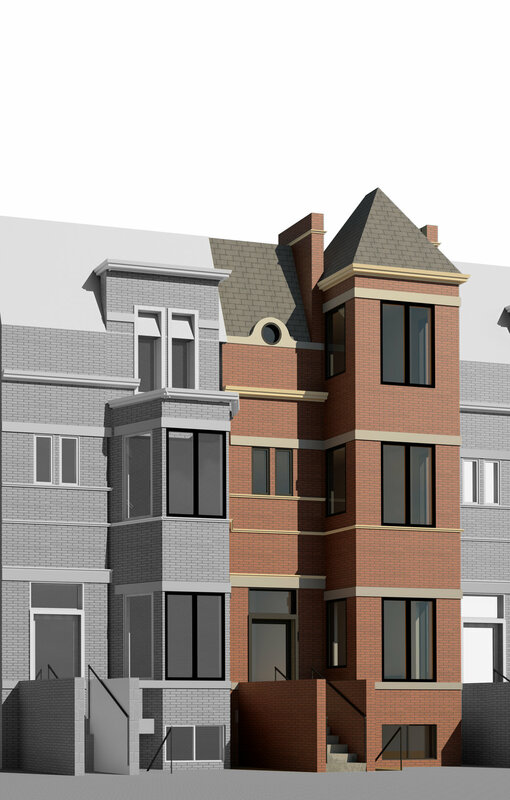 The back of the building contrasts the front being a sleek and modern statement and sits in juxtaposition with its context, visible across from the 16th Street Park. 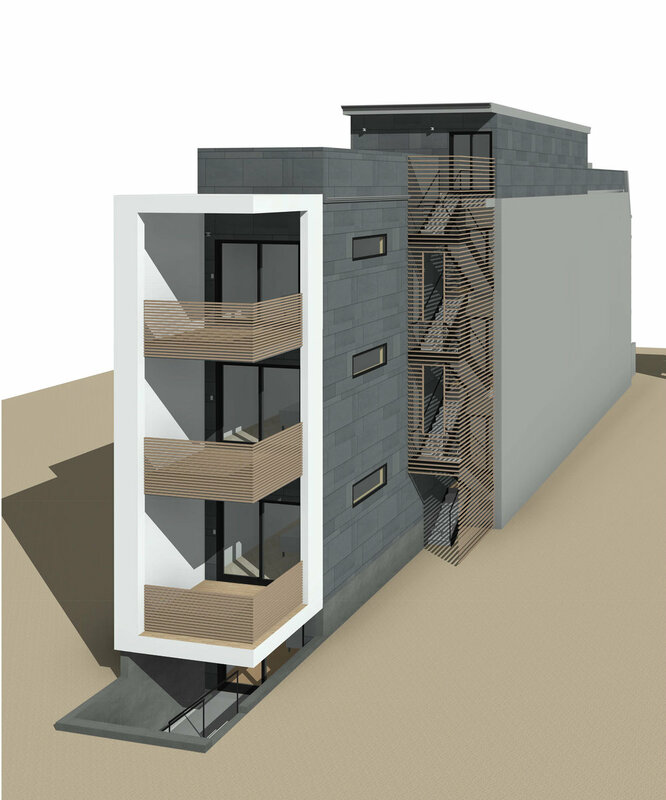 Designed to maximize building footprint, the fourth floor of the building sets back allowing for two roof decks and hiding its presence from the street perspectives.